Isn't Dragon Ball just a bunch of speedlines and ripped dudes with bad hair screaming "It's over 9,000!" Yes. No. Sort of. Many of the stereotypes about Dragon Ball come not from the original manga but rather from the anime adaptations, particularly Dragon Ball Z. The anime, like many popular anime TV shows including Bleach and Naruto, was not produced in "seasons" like American shows; it was produced continuously, one episode a week, for more than ten years. This led sometimes to noticeably low animation quality and general cheesiness, which, when mixed with English dubbing, led to some interesting memes. One of the problems with the TV series was that it had to follow the plot of the manga, which was also being produced at a rate of one chapter a week. However, one 14-page chapter, consisting mostly of fighting, does not easily fill up a 20-minute animated TV show. As a result, the originally brisk and action-packed manga became padded out into a bloated mess of a TV show. To kill time (and save animation costs), characters would just talk endlessly about what was happening, rather than doing anything. Sometimes the animators created their own non-canon storylines, "filler arcs," in which characters wandered off and got into little adventures or fought one another in different combinations. However, these side stories were never allowed to alter the main plot. Countless animated movies and TV specials, which regurgitated concepts from the manga (Hey! Freeza's got a brother, and he's a bad guy too!) usually just exacerbated the problem. The animators also do an inconsistent job of adapting Toriyama's cartoony character designs for the screen. For those who would prefer a tighter Dragon Ball Z anime, there is hope; on April 5, 2009, Toei Animation released the first episode of Dragon Ball Kai ("Dragon Ball altered/modified") a remastered edition of the original Dragon Ball Z created for the show's 20th anniversary. 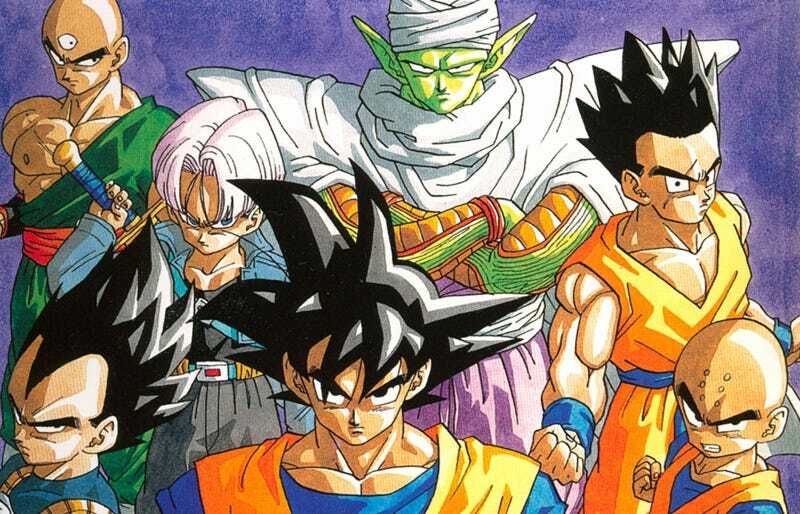 According to Toei and Fuji TV, in addition to audio and video remastering, Dragon Ball Kai will eliminate the many "filler arcs" and redundant scenes created for the original Dragon Ball Z anime and make the story stick more closely to Akira Toriyama's original manga. As for the speedlines and crazy hair and the guys shooting energy out of their hands due to their mastery of martial arts, that's all there in the original. (The yellow hair is the outward sign of a power-up, "Super Saiyan," which doesn't show up until the second half of the original manga.) And for those who embrace the absurdity, there are many fan-made live-action Dragon Ball movies.